100% Garnatxa de vinyes velles. Color de cirera picota intens. Decididament elegant, amb cos, molt equilibrat i de gran acidesa. Una peça d’art. Cabrida 2014: 97p.En los mejores niveles niveles de la marca,fino, con carácter. Aromas frutales concentrados de madurez perfecta, toques florales,minerales y de especies negras. Sólido en la boca, equilibrado, fresco, con taninos firmes, sabroso, expresivo, largo. Cabrida 2014: 92 Points.The 2014 Cabrida already shows the new direction for the estate—especially for 2015—towards finer, more complex and delicate wines with judicious use of oak and more fruit-driven and fresh. Those seem like deep changes, and this pure old vine Garnacha is the blend of many micro-vinifications in open 500-liter oak barrels with some floral and wild berry aromas, and a core of sweet spices and earth. The palate is quite delicate, with a fine texture, with chalky tannins and good freshness. Cabrida 2011,98p: Una de las mejores cosechas del mejor tinto del Montsant. Amplio, potente, con muchos matices y mucho carácter; elegante. Equilibrado y con noble fuerza en la boca, fresco, sabroso, expresivo. Cabrida Calissa 2011, 93pVino Excelente100% Garnacha, Color cereza, borde granate. Aroma fruta madura, roble cremoso, tostado, complejo, terroso. Boca potente, sabroso, tostado, taninos maduros. 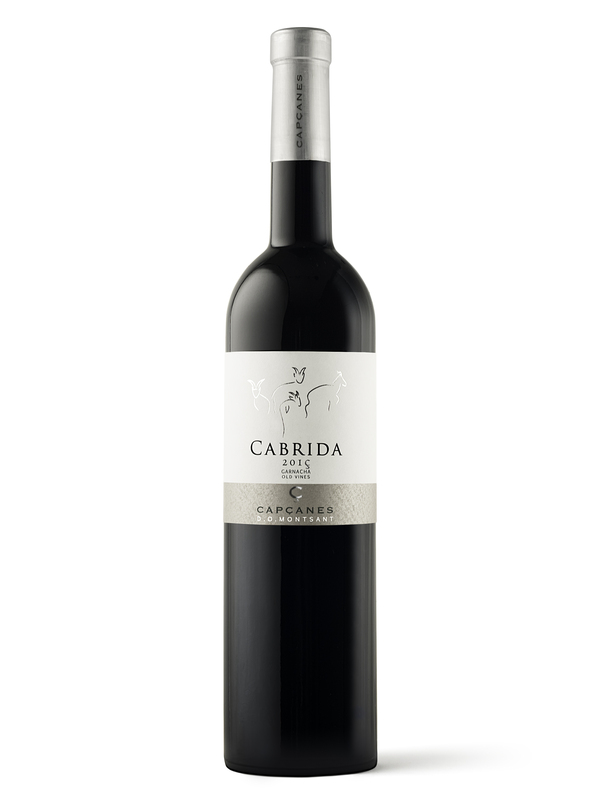 Cabrida 2010, ★★★★★ EXCEPTIONAL quality Cabrida is a single vineyard bottling produced from very old vines.It is very rich and full bodied; a complex, well balanced wine with rich fruitiness (blueberry, cranberry, raspberry jam), evident oak character (vanilla, toast, spicy oak), and a very long, mildly tannic finish. Exceptional. 100% Garnacha. Aged 12 months in new French oak barrels. • Cabrida 2009. 91pColour: deep cherry, granet rim. Nose: wild herbs, ripe fruits, sweet spices. Palate: floavourful, good structure, good acidity. “Cabrida 2009” 91p Color cereza, borde granate. Aroma hierbas silvestres, fruta madura, especias dulces. Boca sabroso, estructurado, buena acidez. “Cabrida 2009” 97p : Fresco y rotundo, elegante. Nariz rica en finos matices: frutos negros maduros, florales, minerales, monte bajo, tinta, especias. Con músculo y con nervio, consistente, equilibrado, sabroso, expresivo. Cabrida 2009; 88.5p: AL – Medium deep ruby; rather restrained nose of wood, spices, red and dark berries; quite structured and firm palate with young tannin, restrained fruit, some woody notes and a long, tight finish. MdM – Dark, purple red with violet hue and almost black centre. Ripe aromas, spicy and slightly mineral touch with juicy fruit. On the palate well balanced with well integrated tannins and juicy character. Cabrida 2009; 89p: Clean, fairly polished nose, ripe partly preserved red berries and some black berries, dried floral notes, hint of Provencal herbs, mineral traces in the background. Juicy, clear, slightly jammy fruit on the palate, very fine, mature tannins, delicate acid bite, powerful but also harmonious, elegant herbaceous notes, prominent mineral notes in the background, good persistence and has some depth, very creamy, slightly astringent on a very good finish. Vinyes velles: amb una edat entre els 60 i 110 anys.